Last week I shared our core curriculum choices for AJ’s freshman year. Today I will be sharing the electives that she will be taking. My plan was for her to take two electives; Spanish and something of her choice. She didn’t want to pick between the few that I offered her, so she will be taking a total of four electives. She won’t do them all every day and some she won’t get to every week. I told her I would let her take more electives but that her core subjects had to be completed first. Here are the electives that AJ plans on taking. I wasn’t sure if I wanted to have Bible listed on her transcript. But after thinking and praying about it, I decided it was the right decision for her. Right now my plan is to let her earn up to two credits for Bible study throughout her high school years. One year she will focus on the Old Testament and one year on the New Testament. This year she will be reading through the New Testament. She will use two main resources; Hands-on History Activity-Pak: The New Testament, from Home School in the Woods, and I Can Study Acts Alone With God. Both are products that we are reviewing. I will link the reviews once they have posted. 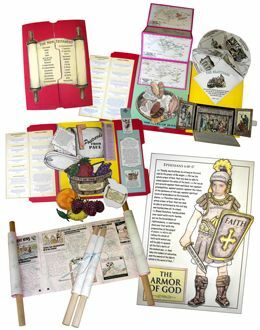 The New Testament Activity-Pak will have her creating a lap book with a lot of information from the New Testament. She will explore the lineage of Jesus, His birth, works on earth, death, resurrection, and ascension. She will also study the fruit of the Spirit, the Armor of God, and a lot more. In addition to the reading and research activities, she will also be completing a newspaper all about the New Testament. While she could easily finish the lapbook quickly, she will take her time and read through the majority of the New Testament this year. I Can Study Acts is a really neat Bible Study. It only takes about ten minutes a day and has her closely reading through the book of Acts a few verses at a time. The book is set up to last an entire calendar year, so she will need to double up on the work some days to finish by the end of the school year. I think between the two resources she will be able to earn a full credit of Bible. Living in Southern California, AJ needs to learn Spanish. She has been learning Spanish off and on since fifth grade. Last year she worked through Middlebury High School Spanish 1. She liked it, but it took forever. It also was another program that took up my computer. This year I decided that I wanted an offline program. Let me tell you, it was not easy to find what I was looking for! This is the class that AJ is the most excited about. She will be taking Photography from SchoolhouseTeachers.com. It has weekly lessons that she will work through. The course is only a half credit course, but we are combining it with Image Editing and Creation to giver her a full credit of Photography. This class focuses on editing the pictures once they have been taken. She will learn to use a free photo editing program and will have weekly assignments to complete. She received a digital camera for her birthday and can’t wait to learn better photographing techniques. I may take this class with her, it looks like a lot of fun. The last elective she will be taking is from Khan Academy. It has so much more than math! She will be working her way through the computer animation course. She started it at the end of last year and really enjoyed it. It uses Pixar characters to teach about animation. It involves math and science. After learning about a concept then she has to apply the knowledge and animate something. She will probably only work on this a few times a week, so I plan to give her a half credit. Once she is done with the lessons on animation she will go on to learn computer coding. The best part is that theses courses are all free! It looks like AJ is going to have a fun year that is full of learning! What electives are your students taking this year? Have you used any of the other courses offered from Khan Academy? If so, what did you think? Learning a new language can be difficult. A lot of programs for elementary students focus only on vocabulary and don’t really explain verbs or conjugation. AJ has used a few different Spanish programs over the years. While she has retained some vocabulary, the majority of what she learned went out the window. I guess the saying, “If you don’t use it you lose it” is true. We were given a chance to review a new program, created by Kimberly Garcia, called Fun Spanish. With a name like that, we knew we had to try it out. We received a digital copy of the book, but it is also available as a physical download. Fun Spanish is a different approach from anything we have tried in the past. Instead of working on individual words, your student learns the vocabulary through phrases. The twist is that the phrases are crazy! Yo soy un gato grande y verde con pierenes largas. I am a big green cat with long legs. Each week they are given a verb to memorize and conjugate. After they finish conjugating, they are given a set of vocabulary words. Some are new and others are review. The average is about five new words a day. The final section is translation practice, it has two parts. First they are given a sentence in English that they have to orally translate into Spanish. The next section has them translating a crazy Spanish sentence into English and then illustrating the sentence. The program is broken up into 17 lessons. You have the option to complete one lesson a week for a semester long course, or add in extra practice time and complete one lesson every two weeks. Doing a lesson every two weeks will make the course a full year long. Each lesson is broken up into five days. Each day AJ would conjugate the verb, and translate the sentences, then we would go over the vocabulary together and make sure she was pronouncing the words correctly. After we went over everything, she would illustrate the sentence. Each lesson only took about 20 minutes, but they were all packed with information. We only school four days a week, but it was easy to tweak the schedule and make the five day schedule work with our four day week. As AJ became more use to the set up of this curriculum, she needed less and less help. Now she only needs help with pronunciation once in a while and the rest of the lesson is completed independently. When I first looked at the lessons I doubted learning Spanish with the funny phrases would work. After a week, I was proved wrong. AJ not only learned and retained quite a few vocabulary words, but she was starting to understand the sentence structure as well. I love that verb conjugation is included daily. It doesn’t take long, but teaches a difficult skill in a simple way. AJ likes that she gets to draw the meaning of the sentence every day. Illustrating the sentence really helps her to remember the vocabulary. I think this program is genius and hope that more levels are introduced. For elementary aged students I think this program is more than enough. I would definitely recommend it to anyone who is teaching their child Spanish. Living in California, there is a great need to be fluent in Spanish. Spanish is everywhere and my little one has picked up a lot of words and phrases, but she needs more. For the last two years she was taking a Spanish course at school and while it was great for vocabulary, that was about all that it taught. Now that we are traditionally home schooling I have been searching for a good Spanish program that teaches more than just vocabulary. I wanted a program that was not all on the computer and one that taught conjugating verbs. I found a few programs that fit my specifics, but they had very high price tags. Then I was given the opportunity to review Spanish for You. It seemed to meet all of my needs so I was very excited to try it. Spanish for You is a Spanish program designed for kids in grades 3 – 8. It comes with a soft cover book, downloadable worksheets, downloadable flash card pictures, lesson guides, and MP3 downloads that have the author reading the pages in the book and a native Spanish speaker reading as well. It also includes downloadable self checking worksheets. There are three different themed books; Fiestas (celebrations), Estaciones (seasons), and Viajes (travel). At the time of this review Viajes is not quite finished and will be available soon. The books can be used in any order as they are not leveled. The interesting part of this program is that the same book can be used for your child in third grade and your child in eighth grade. There are lesson guides to use for grades 3/4, 5/6, and 7/8. 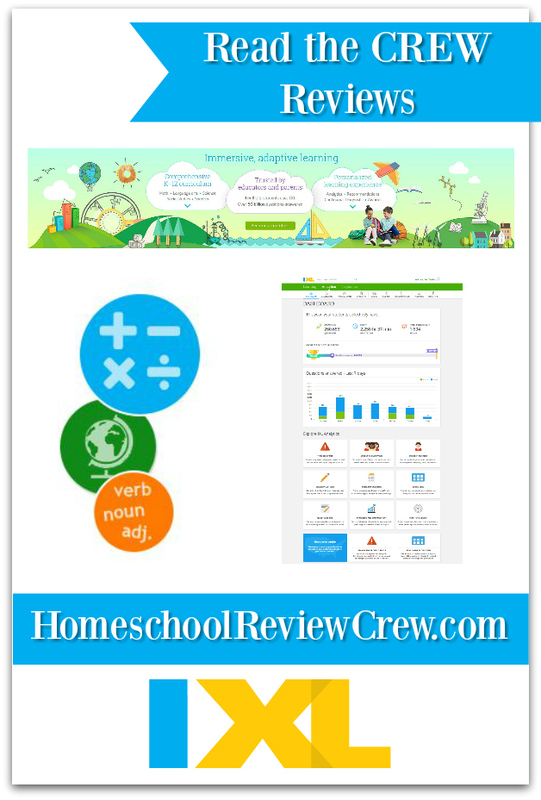 While your students in different grades will be learning the same things, there are worksheets available that will be at each ones grade level. I only have one child and we used the 3/4 lesson guides but I did look at the higher level worksheets and they looked grade level appropriate. I was given Estaciones to review. It contains 5 lessons; The Calendar and Weather, Fall and School, Winter, Spring, and Summer. Each lesson covers new vocabulary, verbs and how to conjugate them, and grammar. Each lesson takes about four to six weeks to complete depending on the child and the pace you take. The lessons are short and to the point following a four day a week schedule. I have to say that I really like this program and so does my nine year old. She actually asks to do Spanish now. I like the fact that while there are some worksheets to complete there is not an abundance of writing. A lot of the work has to do with memorizing the vocabulary and there are quite a few fun games suggested in the book to practice the vocabulary. I think my favorite part of the program is that they are learning the Spanish language not just select vocabulary. On the second week they are already learning how and why to conjugate verbs. My little one is learning things that I didn’t learn until high school Spanish, but the learning is being done in a way that is easy for me to teach and for her to learn. Each page in the book is read by the author as well as by a native Spanish speaker so that there is no confusion on pronunciation. I liked having the opportunity to listen to both recordings of the book because I felt that it gave a solid understanding of the pronunciation of words. There is not much prep time needed to use the program. Each week I printed the lesson guide, printed any worksheets that needed to be printed and found which audio files we would need. I would say it took less than ten minutes to prep for the week and I found the program self explanatory and easy to use. The program has a few different pricing options shown here. The entire program for a single grade level (3/4, 5/6, or 7/8) is only $39.95 while the entire program with all grade level lesson guides is only $64.95. I feel this product is definitely worth the price. It is a solid Spanish curriculum that I think most anyone would benefit from. I feel it would also be great for those older than eighth grade who were looking for a way to learn Spanish that wouldn’t break the bank. There was only one small thing that I wish was different when it came to this Spanish program. I wish that there was an option to purchase the audio downloads on a CD and the workbook pages in a workbook so that they didn’t have to be printed. I understand that it would cause the price to increase, but I personally prefer to buy real books and not print page by page. There was not a lot to print, but if that option was available I would definitely choose it when I purchase our next set. This program has been great and we will continue to use it next year when we start school again in the fall. I feel that this review came at the perfect time as I no longer need to search for the perfect Spanish program, for us this is it.